Shopping in Moraira, Spain. In the small seaside resort of Moraira and in the surrounding areas there are good places to shop. There are shopping malls, shopping streets and not least markets. In this article, we will show you everything you need to know about shopping in Moraira. Whether you are looking for famous brands from the major international chains, or a little souvenir from your visit to Moraira. Moraira is a small town in La Marina about halfway between Alicante 80 km south and Valencia 108 km north. Barcelona is 438 km north. Moraira is still one of the most pristine resorts on the Costa Blanca, and has 8 km of beautiful coastline supported by mountains. The narrow cobbled streets that go from the beach in Moraira are home to a range of elegant shops decorated in a blend of traditional and modern style. As well as modern shops and fine jewelry dealers, Moraira also has some fine deli shops for meat, fish and baked goods. The town of Moraira offers all the usual services required by a busy modern seaside resort. Food stores, banks, legal, communications etc are well represented, and there are a number of shops, art galleries, gift shops and souvenir shops with an excellent range of quality products. 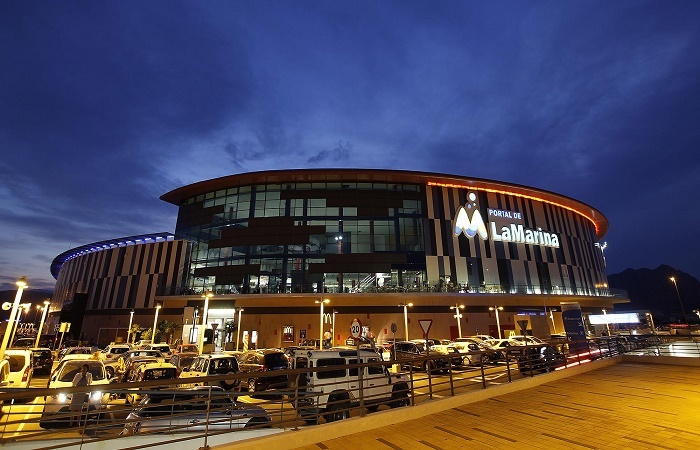 For those who prefer a less hectic shopping experience away from the center of the village, there are many more supermarkets, shops and restaurants located in remote malls. Opening hours in Moraira’s stores follow the traditional time based around siesta. Many of the shops in the city center close between 13:30 and 14:00, and open again between 16:00 and 17:00. The main reason for this is to avoid working during the warmest part of the day during the summer months. Most stores open around 9:30 or 10:30 in the morning. Almost all shops and local smaller supermarkets are closed on Sundays. On national and local holidays, it is best to check in advance. If you want all the well-known brand stores in one place, a trip to the Portal de La Marina shopping center just outside Moraira is an excellent choice. The shopping center is a 15 minute drive by taxi or car rental from Moraira city center, where you will find all the shops and facilities. Here we take the best shopping malls in Moraira, perfect when you want a break from the sun and could shop indoors in cooled premises. In Ondara just outside Moraira you will find the Portal de la Marina shopping center. The shopping center has many well-known brand stores like Zara, Amichi, Baileys, Benetton, Bershka, Botticelli, C & A, Calzedonia, Celio, Clarks – Nichi Seijo, Cool, D’Enfants, Deichmann Calzados, Pareil Au Meme, Esprit, Freske Shoes, Geox, Gerry Weber, Intim Caselles, Jack & Jones, Levi Strauss & Co., Mango, Marypaz, Masintimo, Massimo Dutti, Mayka, Mayoral, N & S, Oysho, Polinesia, Primichi, Pull and Bear, Punto Roma, Shana, Sietepecados , Springfield, Stradivarius, Surf Or Die, Tino Gonzalez, Woman Secret, Xhenna and Eroski supermarket. There is also a cinema, bowling alley and many restaurants. The market in Moraira is organized every Friday morning and is located just behind the center of the large car park. This creates a massive parking problem so it is necessary to get it very early. Markets open around 9:00, sometimes earlier, and finish at lunchtime, around 14:00. For many holidaymakers and residents of Moraira, the street market is a major attraction. 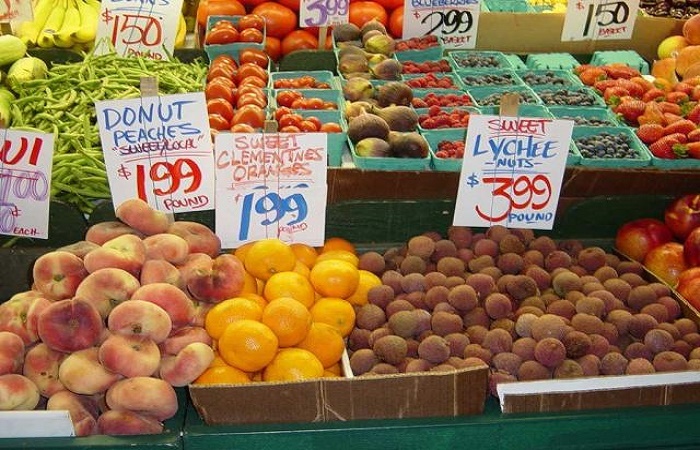 In addition to the exciting atmosphere, it is probably true that there are better quality and cheaper fruits and vegetables on the market than what you can usually buy the stores. The Moraira market also offers a host of other products including carpets, clothes, leather, towels, jewelry, watches, and electrical equipment. 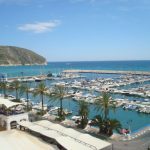 The Moraira market is one of the most extensive markets on the Costa Blanca, and a visit can be an interesting experience. All types of fruits and vegetables are available, including nuts, herbs, dried fruit and spices, as well as clothes, shoes, leather and ceramic goods, blankets, soft furniture and household items. The Teulada market is a smaller market than that in Moraira, but with a quite extensive range of commodities that tend not to be as crowded as in Moraira. It is held Wednesday morning and there is usually a particularly good selection of fruits, vegetables, nuts, dried fruits, herbs and spices. Many Moraira residents travel to the Teulada market to shop here. This entry was posted in Moraira and tagged costa blanca, markets, moraira, shopping, shops, spain on November 7, 2017 by webmaster.